Riven what happened?. . Wallpaper and background images in the Winx Club club tagged: photo riven stella brandon running winx club specialists. 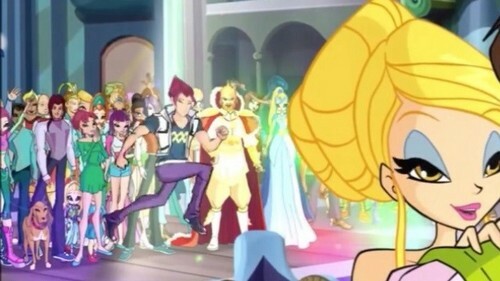 This Winx Club photo contains anime, fumetti, manga, and cartoni animati. There might also be finestra con vetro temperato and finestra di vetro macchiata.